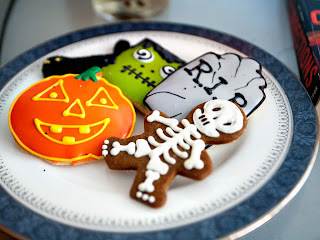 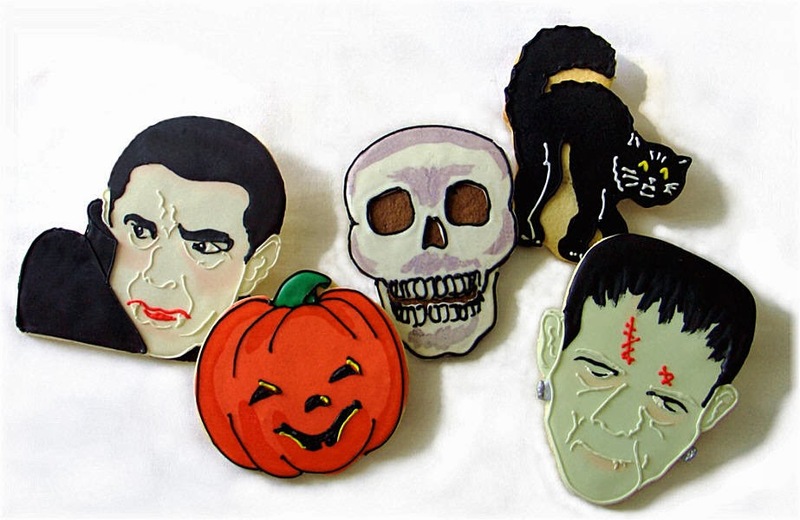 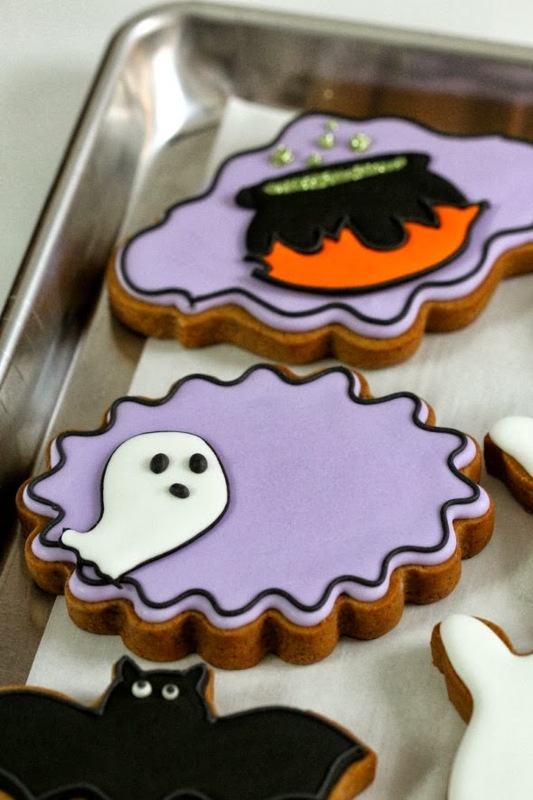 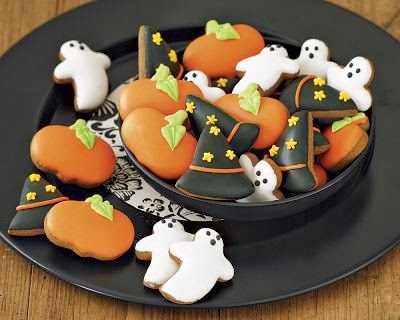 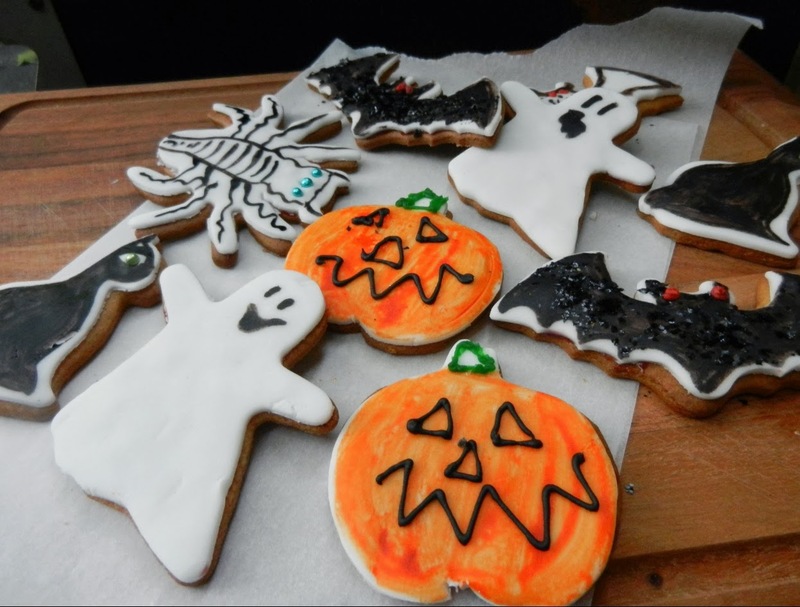 If you are hosting a Halloween party or seeking something special for your family during the Halloween holiday, try these easy decorations for Halloween cookies and surprise the guests. 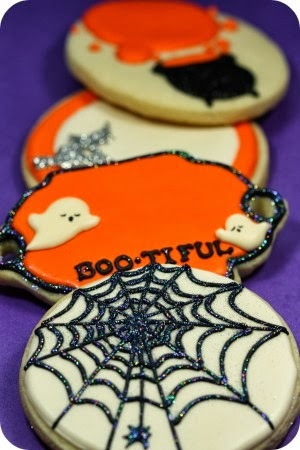 The decorations are not difficult at all. 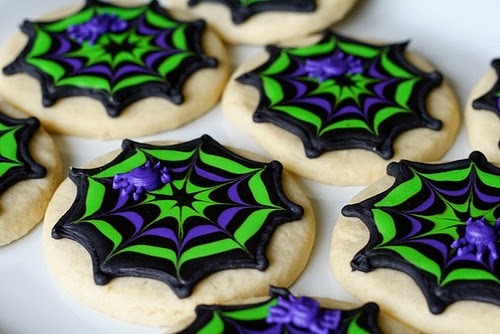 All what you need is suitable paste colors, cream, liquid chocolate and jam if you wish. 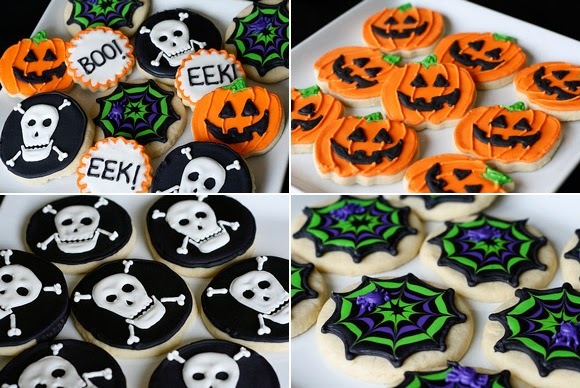 Follow these simple themes and let your family and friends help you with baking or decorating the cookies. 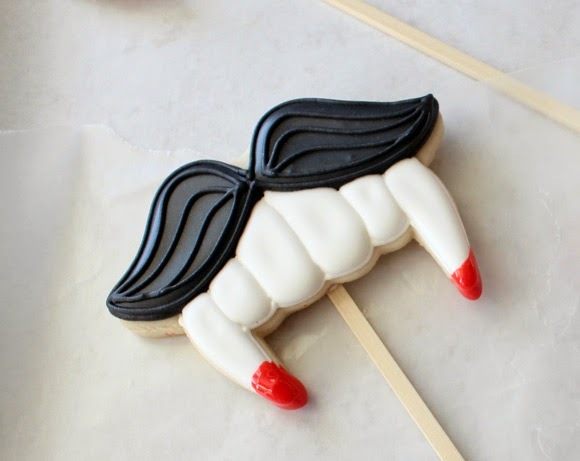 Use thick fruit syrup or strawberry jam to draw the vampire mouth or other blood-like lines. 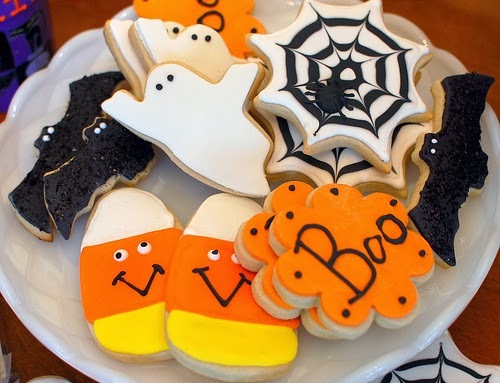 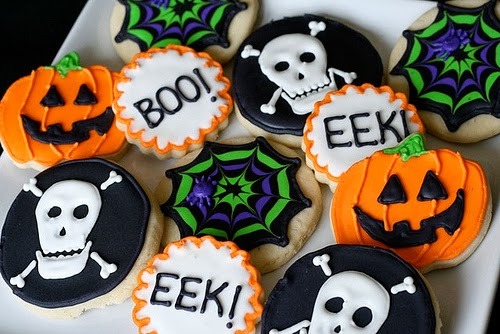 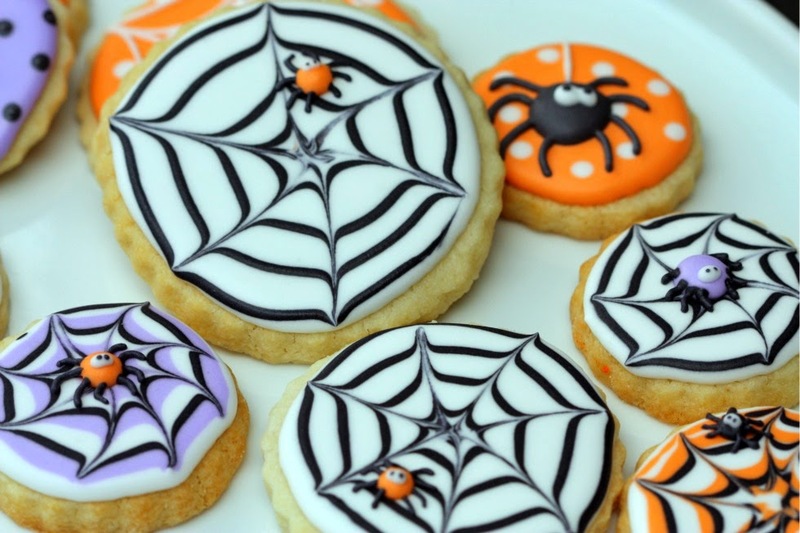 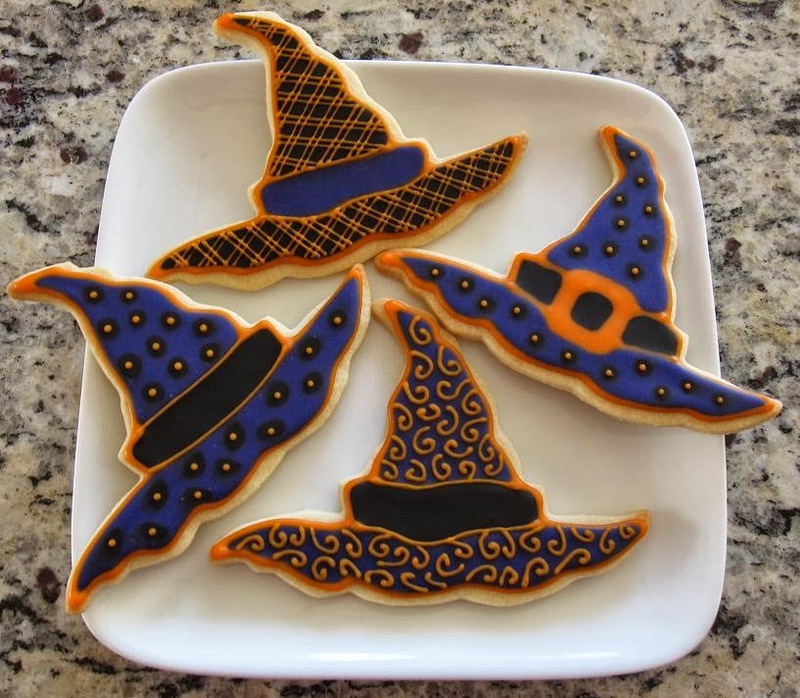 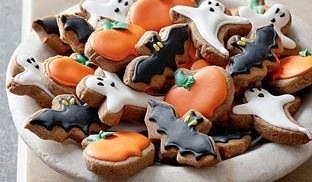 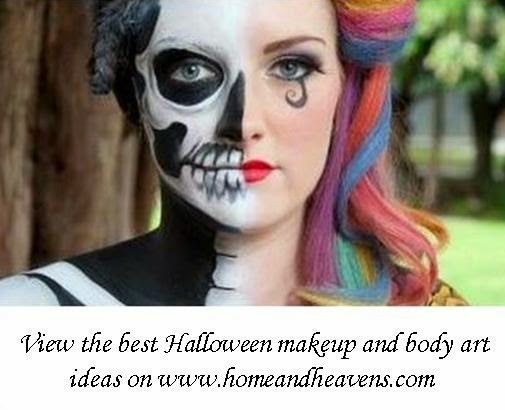 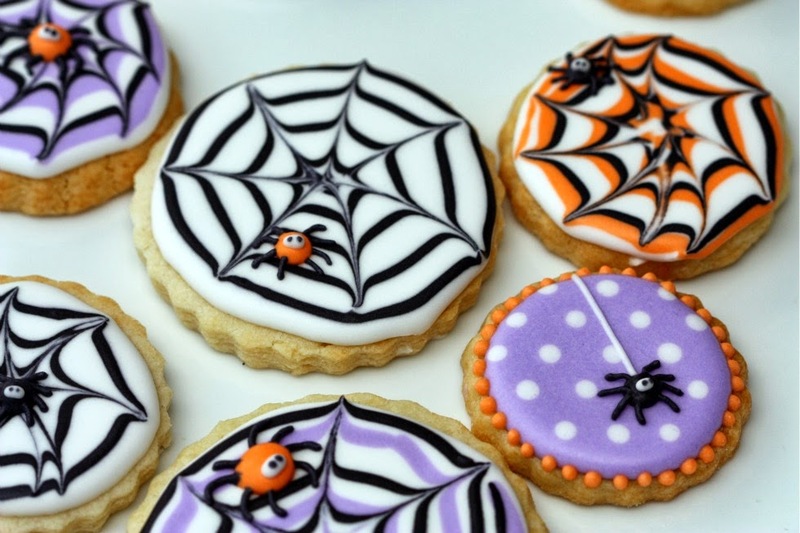 The best and nicest idea for Halloween cookies is drawing Jack-O-Lantern faces or pumpkin themes; colorful spider webs, smiling faces and smiling ghosts with witch brooms and hats are all lovely ideas that won’t scare your kids. 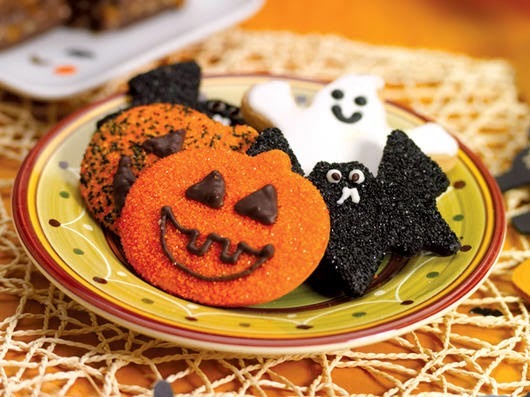 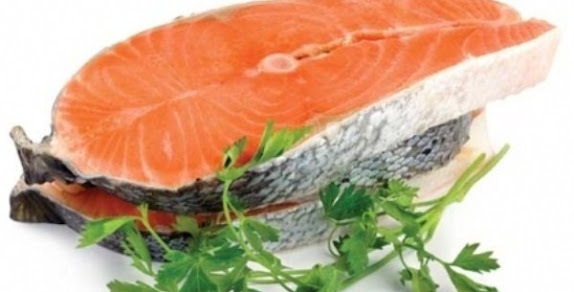 They are all suitable for a fun Halloween breakfast with your family.